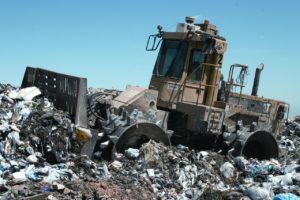 In the year 2010, Austin City permitted the state’s very first Zero Waste Master Plan which challenges local occupants and business owners to minimize waste sent to landfills via dumpster by 90 percent by the year 2040 or sooner. To accomplish this zero waste objective, the business community should completely get involved to increase this shift. Austin’s Universal Recycling Ordinance (URO) is the primary policy program to influence the involvement of industrial organizations and haulers. The city began carrying out the URO in the year 2012. They are necessitating afflicted property owners to ensure tenants and workers have hassle-free accessibility to recycling. Carrying out a multiyear phase-in influencing the biggest properties primarily, the URO will be enforced fully in October 2019. Take NOTE: Failure to abide by the ordinance can result in penalties that range between $100 and $2,000 a day for every deficiency. - and submit an annual diversion plan. - and put outdoor organics collection containers within 25 feet of garbage containers. 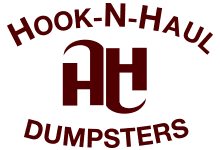 To assist establishments to get rolling, the City of Austin is providing a $1,800 discount for establishments that are not yet afflicted by the ordinance but start or develop recycling, composting or donation solutions. The purpose of the Universal Recycling Ordinance - URO, is for commercial and multifamily properties to carry out successful recycling and landfill diversion plans. Wise, enthusiastic and committed personnel are key in supporting businesses in conquering possible problems linked to delivering easy and distinct accessibility to recycling. The collaboration of committed team, a solid policy program and proactive and strong outreach play a role to the thriving enactment of diversion endeavors in Austin.